The International Beverage Competitions are the first major international beverage competitions that feature trade-only judges who decide by category and actual price. They consist of people who are buyers from top retail stores, restaurant and bar owners, distributors, and importers. Unlike other competitions, these judges have purchasing power and the ability to make a direct impact on brand sales. The second major difference in these competitions is that each submission will not only be placed in its product category — but also its pricing category. Therefore, a spirit will be judged in its category along with other spirits in its same price range by its retail price. Each category will have its own pricing levels and is listed on the submission form. So for example a Whiskey that retails for $50 will be judged with other Whiskeys in that price range and not with Whiskies that retail for $100. Judges will then know if they are judging a $54 bottle vs a $68 bottle of Irish Whiskey. At the start of each segment of the judging program, all the judges will be presented with an overview of the category along with the nuances particular to each subset. They will be informed on what price range they will be judging. The judges this year will also be given the retail price of each spirit they are judging. As buyers they consistently make purchasing decisions not only on the spirit itself but by its price. Brands will be rated on a set of criteria including appearance, aroma, taste, mouthfeel and finish. Upon completion of the tastings, panelists will confer and decide which samples are award-worthy. Award levels are Double Gold, Gold, Silver, and Bronze. All Double Gold award winners will be re-tasted by the panelists to establish which brands may be eligible to receive a ‘Best of Category’ endorsement in its pricing category. The International Beverage Competitions Group was founded by Adam Levy, the "Alcohol Professor". Mr. Levy was inspired to start the competitions after reading an article by Lew Bryson in Malt Advocate Magazine — now called Whisky Advocate — asking why their ratings differ from many of the international competitions out there. In the article, Mr. Bryson stated that over 80% of those who submit to many of these competitions including those on the West Coat of the USA and in the UK win a medal. That inspired Mr. Levy, a New York native, to open up shop in New York, and we're proud to state that his competitions are not "Medal Factories," and in fact less than 50% of those who submit win a medal. That's why they've become one of the most respected competition series in the world. 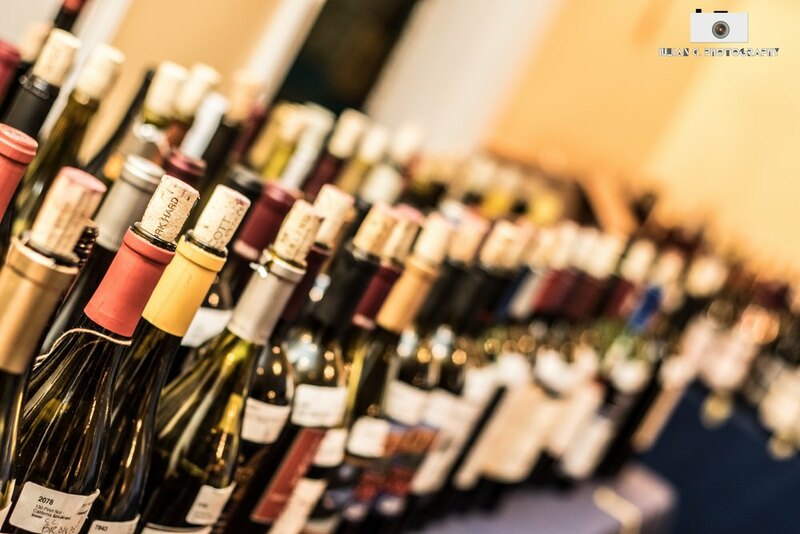 • We are the only International Beverage Competitions where all the judges are real trade buyers judging each wine, beer, and spirit by its category and actual price. The judges are buyers from the top liquor stores, restaurants, hotels and more from around the world. • This is an opportunity for you to be featured in front of real trade buyers in some of the biggest markets in the world. All of these judges buy beverages for a living. • It's a wonderful occasion for an established maker to reconnect and/or be rediscovered by the buying community in a true blind tasting. • It's also a perfect opportunity if you are new to the world market and looking to enter a particular country or region to be in front of real trade buyers. • We hold our competitions in the media capitals of the world… New York, Berlin, Melbourne and Hong Kong. The media will be invited to report on the competitions and attend the Press/Trade Events showcasing the winners. Winning producers are invited to attend and showcase their winning products at no additional charge. • We work with our media sponsors to distribute the results to the trade and consumer. All winners will be listed on our websites. • We do not charge winning categories for the use of our medals and to participate in our Press/Trade viewing. • Winners receive a physical 2" medal and the use of the Digital Image of their winning medal in their marketing materials. Medal image on bottles and packaging are available thru stickers and image licensing programs. • We promote the winners with our media partners and at our trade and consumer tasting events at no additional charge. These events include our booth at Prowein in Dusseldorf. There are three separate competitions in New York, all held in New York City. All winners receive a 2" physical medal and the digital images to use for marketing purposes. The 10th Annual New York International Spirits Competition takes place on April 14th 2019. The NYISC is held at the luxurious 3 West Club in the heart of midtown Manhattan across from world famous Rockefeller Center. Retail Store Buyers, Mixologists, Restaurant Owners, Hotel Beverage Managers, Distributors and Importers gather to judge the best spirits in the world and award a select few with the Bronze, Silver, Gold, and the Double Gold Medal. Medals will also be awarded to the superior spirit in each individual category. We take pride that established as well as new brands and craft spirits are all well represented in the competition. The competition is open to all commercially produced spirits from around the world and you do not have to be sold currently in the United States. On average as with all of our New York Competitions around 18% of the liquid submitted is not currently available in the United States. You can read more about the NYISC in Beverage Dynamics Magazine. The 9th Annual New York International Beer Competition will be held February 9th, 2020. It will again take place at the 3 West Club. The NYIBC is judged by the top Craft Beer Bar Owners, Restaurant Owners, Retail Store Buyers, Distributors and Importers from the New York Metropolitan Area. At the competition commercially produced beers, ciders and sake are judged from around the world. The liquid is judged by its category and actual price. On average as with all of our New York Competitions around 18% of the liquid submitted are not currently available in the United States and looking for distribution and awareness. 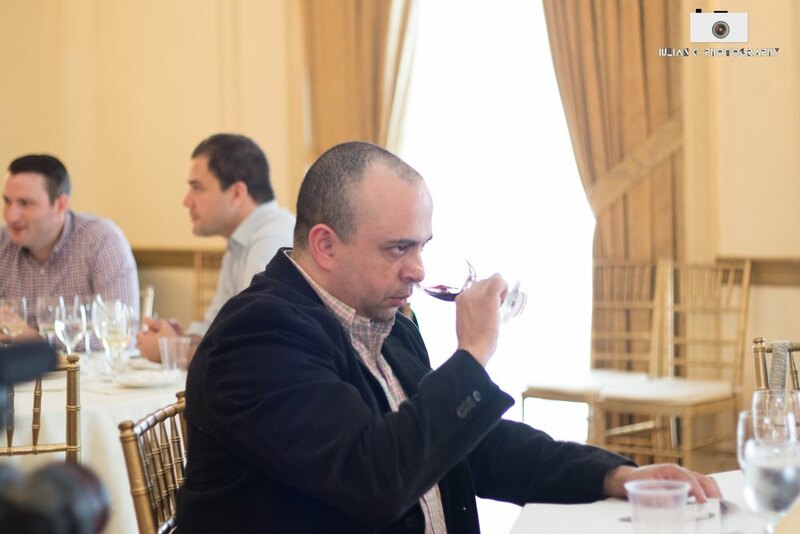 The 9th Annual New York International Wine Competition will be held May 5th 2019 — also at the 3 West Club. After the huge success of the first NYISC, vintners from around the world asked us to replicate the competition with wine. Today top wine buyers from the New York Metropolitan Area including Sommeliers, Restaurant Owners, Retail Store Buyers, Beverage Managers, Distributors and Importers judge the wine by its category and price. The competition is open to all commercially produced wine from around the world. Your wine does not have to be sold in the United States to enter the competition. On average as with all of our New York Competitions around 18% of the liquid submitted is not currently available in the United States. There are three competitions that take place in Berlin. All winners receive a 2" physical medal and the digital images to use for marketing purposes. The 7th Annual Berlin International Spirits Competition takes place in February, with the next one slated for March 1st 2020. The BISC is held at the Kempinski Bristol, a luxury five-star hotel in the center of Berlin on the famous Kurfürstendamm. The competition is open to all commercially produced spirits from around the world. Our judges are top mixologists, retail store buyers, restaurant owners, distributors and importers from around Western Europe. They are judging the spirits by its category and price. 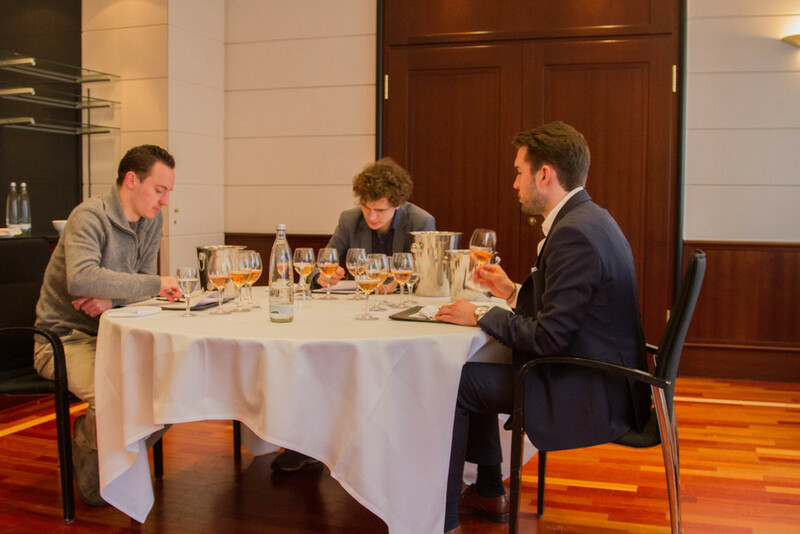 The 7th Berlin International Wine Competition is also held in March 1st 2020, with the next one slated for March 3-4th 2019. The respect garnered by the New York International Wine Competition led to wine producers, importers, distributors, retail store buyers and sommeliers requesting that we bring the same philosophy to Europe. The BIWC will be at the Kempinski Bristol, held alongside the BISC. 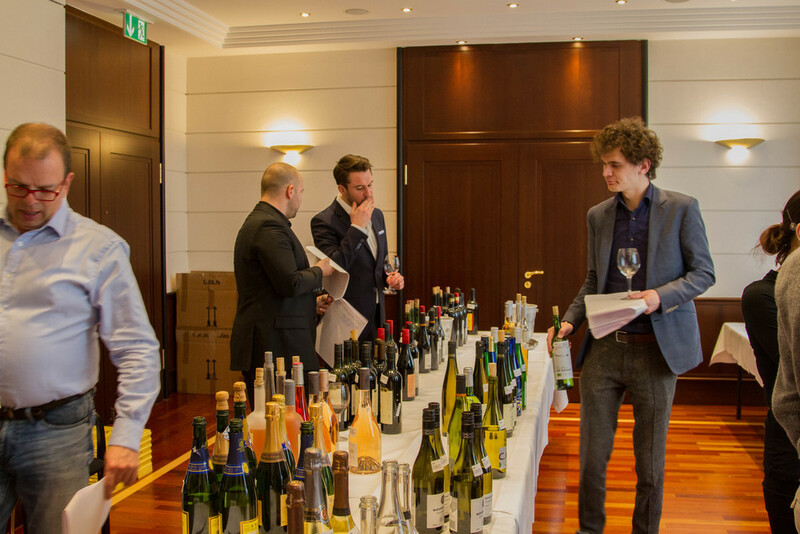 Top Sommeliers, Restaurant Owners, Retail Store Buyers, Distributors and Importers from Western Europe are the members of our trade buyers only judging panel They judge the wine by its category and price. The 4th Annual Berlin International Beer Competition will be held March 1st 2020 at the Kempinski and will be bringing some of the top beer buyers in Europe to one of the most dynamic beer loving cities in Europe. Top winners will be showcased at tasting events throughout the year, including our booth at ProWein at no additional charge. We also include winners on our lifestyle blog, The Alcohol Professor. There are three competitions that take place in Melbourne. All winners receive a 2" physical medal and the digital images to use for marketing purposes. The 6th Annual Melbourne International Spirits Competition will be taking place June 23rd 2019. The MISC will be held at the well respected RACV City Club, a social, leisure and business hub conveniently located in the center of Melbourne. The competition is open to all commercially produced spirits from around the world. Top mixologists, Retail Store Buyers, Restaurant Owners, Distributors and Importers from Australia are our judges. The competition is open to all commercially produced spirits from around the world and you do not have to be sold in the Australia to participate. The 6th Annual Melbourne International Wine Competition will be held on June 23rd 2019. The MIWC will also be held at the RACV City Club, a social, leisure and business hub conveniently located in the center of Melbourne. Top Sommeliers, Retail Store Buyers, Restaurant Owners, Distributors and Importers from Australia are our judges. The competition is open to all commercially produced wine from around the world and you do not have to be sold in the Australia to participate. The 3rd Annual Melbourne International Beer Competition will be held on June 23rd 2019. The MIBC will also be held at the RACV City Club, a social, leisure and business hub conveniently located in the center of Melbourne. Top Craft Beer Bars, Retail Store Buyers, Restaurant Owners, Distributors and Importers from Australia will be our judges. The competition is open to all commercially produced beer, cider and sake from around the world and you do not have to be sold in the Australia to participate. There are three competitions that take place in Asia. All winners receive a 2" physical medal and the digital images to use for marketing purposes. The 3rd Annual Asia International Spirits Competition will be taking place August 25th, 2019 in the heart of Hong Kong. The competition is open to all commercially produced spirits from around the world. Top mixologists, Retail Store Buyers, Restaurant Owners, Distributors and Importers from throughout Asia are our judges. The competition is open to all commercially produced spirits from around the world and you do not have to be sold in the Asia to participate. The 3rd Annual Asia International Wine Competition will be taking place August 25th, 2019 in the heart of Hong Kong. The competition is open to all commercially produced wine from around the world. Top Sommeliers, Retail Store Buyers, Hotel Food & Beverage Directors, Distributors and Importers from throughout Asia are our judges. The competition is open to all commercially produced wines from around the world and you do not have to be sold in the Asia to participate. The 2nd Annual Asia International Beer Competition will be taking place August 25th, 2019 in the heart of Hong Kong. The competition is open to all commercially produced beers, cider and mead from around the world. Top Retail Store Buyers, Recognized Craft Beer Bar Owners, Distributors and Importers from throughout Asia are our judges. The competition is open to all commercially produced beers, cider and mead from around the world and you do not have to be sold in the Asia to participate.